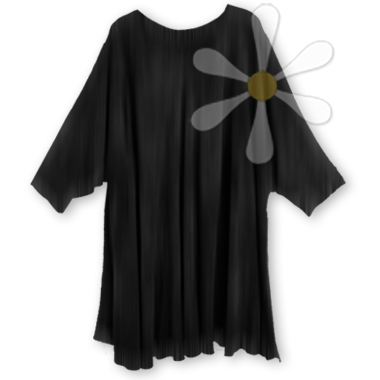 Our most generous EVERYWEAR tunic has a voluminous 90" bustline! This oversized, soft-as-a-kitten tunic is all sorts of style and comfort, beginning with a full and s-w-i-n-g-y shape -- the sides widen out FOREVER towards the bottom -- and there are 12" slits on the sides to expand the fit further, or tie to tame it in. And the deep wide sleeves could not be more welcoming! You can cinch it at the waist with a wide Moroccan belt or contrasting sash or scarf or let it fall luxuriously over your favorite pants or skirt... either way, it's a beautiful start for the perfect goddess outfit.